Simon Weale graduated from Magdalen College, Oxford, where he read music- he was both an exhibitioner and an instrumental scholar. Since moving to London, he has carved out a successful career as both a pianist and an organist and has worked with such names as James Bowman, John Mark Ainsley, Janet Edmonds, Catherine Wyn Rogers, Jane Manning and Graham Trew. He has also worked for the NFMS, Lord Menuhin’s LIVE MUSIC NOW! And the LSO’s INFORMANCE scheme. He has performed throughout the UK- notably at the Machynlleth Festival, the Purcell Room, St. John’s Smith Square and The National Theatre.In December, 2002 he took part in a concert at The Purcell Room with Graham Trew, James Bowman and Richard Lewis; this concert promoted a CD which they made in October, 2000. The CD is called The Holy Boy, and it is a collection of songs by English composers on the theme of Christmas. He also played at the same venue as a member of the Brettl ensemble in an all-Birtwistle concert, in the presence of the composer. 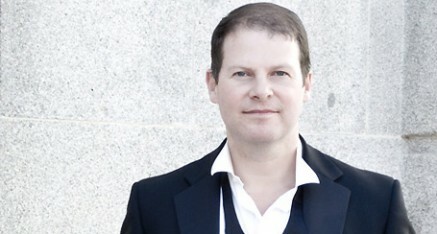 Simon has also recorded for both BBC Radio 3 and Radio Oxford. In the Summer of 2006, he recorded his first solo album at London’s Wigmore Hall. Work abroad includes performances at the International Chamber Music Festival at Entrecasteaux in the South of France and two recitals given in Malta. Simon has also performed as a solo pianist for Cunard, Swan Hellenic and Fred Olsen Cruise lines. Simon has been organist of several London churches, including; St. Mary Magdalene in Paddington and St. Mary’s, Paddington Green . He has also worked as a continuo player and is currently involved with the West London Bach Consort’s mammoth task of performing all of Bach’s Cantatas. He has also given organ recitals at St. Patrick’s Cathedral, Dublin, St. Giles, Cripplegate, St. Gabriel’s Pimlico, the Servite Priory, Fulham, St. Lawrence, Jewry and played at St. Paul’s Cathedral on five occasions. In September of 2003 he was appointed the organist of St. Paul’s Girls’ School, where he teaches both piano and organ. His teachers have included John York, Leslie Howard and Joyce Rathbone for the piano and Catherine Ennis and Anne Marsden Thomas for the organ.